Use our online booking engine below or call 252-986-2515 between 7:00 am and 9:00 pm to reserve a boat. A $360 deposit for full day offshore and $310 deposit for all other trips is REQUIRED for each fishing charter, Offshore and Near Shore upon time of booking. For phone bookings, mail your deposit payment within 5 days to hold your trip date. If the deposit has not been received in 5 days, the dates will be released back into the pool. We will send you written confirmation of your deposit. Make checks payable to The Albatross Fleet and mail to PO Box 120, Hatteras, NC 27943. Rates are for the BOAT regardless of the number of passengers. Due to U.S. Coast Guard regulations, we are limited to a maximum of 6 passengers (including children). 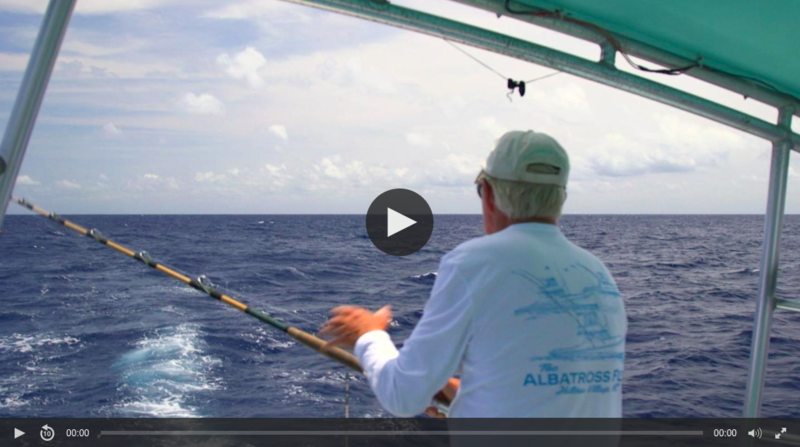 The Albatross Fleet has added a fishing trip to Ocracoke Island to its customer options. Depart the Albatross Fleet Dock in the main harbor of Hatteras Village, spend the morning fishing for Spanish Mackerel, Bluefish, and more along the beach from Hatteras Inlet to Ocracoke Inlet. You will then enter the scenic and historic Ocracoke Harbor, tie up and enjoy a variety of things to do and see along the Harbor and Village. You can have lunch of your choice at the many unique eateries or bring your own. After your visit in the village, we idle out of Silver Lake and cruise the sound back to Hatteras Village. If you want to go offshore fishing, but you have a small group and want to share the cost, then you are looking for a make-up charter. Call us on your arrival to be added to the weekly make-up list or fill out the form here. The cost is only $215 per person, a very good value on the Outer Banks. Bring coolers for your food and drink. Alcohol is permitted. Moderation is encouraged. Have an extra cooler and zip lock bags in your vehicle for your cleaned fish. 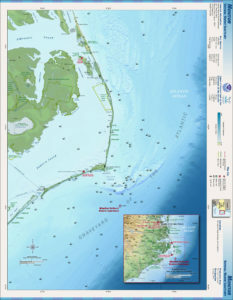 On the coast of North Carolina lies a fragile “ribbon of sand”, barrier islands, collectively known as the Outer Banks located in some places more than 30 miles offshore from the mainland. On the southern tip of one of those islands, Hatteras Island, lies a village named Hatteras. It is here that the sport fishing industry of North Carolina began in 1937 with Captain Ernal Foster and his first boat the Albatross. Today the village is a hub of charter boats taking sportsmen to the Gulf Stream, located 20 miles offshore, to try their their luck at landing big game fish. Luck is part of the formula but know how and experience are more important, and that is what you get when you fish with the Albatross Fleet. Their experience now spans 80 years, the longest of any charter business in North Carolina. Clicking here is the most convenient method to more accurately find our location and to get driving directions to our docks. A FISHING CHARTER IS A PAYDAY FOR THE CREW. 2 WEEKS NOTICE of cancellation is required. Anything less will result in loss of your deposit. Weather and sea conditions are always a factor on a barrier island and forecasting is less than reliable this far out to sea and generally cannot be determined until the day of the trip. we can, we reschedule or you get your deposit back. It is standard practice world-wide to tip the mate. The typical tip is 20% of the cost of the charter. Tipping should reflect the courteous effort put forth by the mate rather than the luck of the catch. The Albatross Fleet has its own docks and its own fish cleaning facilities for its customers. Rates are posted at the dock. Click here to read what we catch and when we catch’em.